You have decided to put your home on the market with the hope of selling quickly for top dollar. Those are the goals of all sellers! Unfortunately, listing your home for sale is just the beginning of what could end becoming a long and unpredictable process. One of the keys of home selling that can speed up or slow down the process is the negotiation. It is important to remember that the sale of your home does not need to be a lose-win situation. Both the buyer and seller can come away with a victory if the negotiation is handled by competent real estate agents who remain emotionally detached. 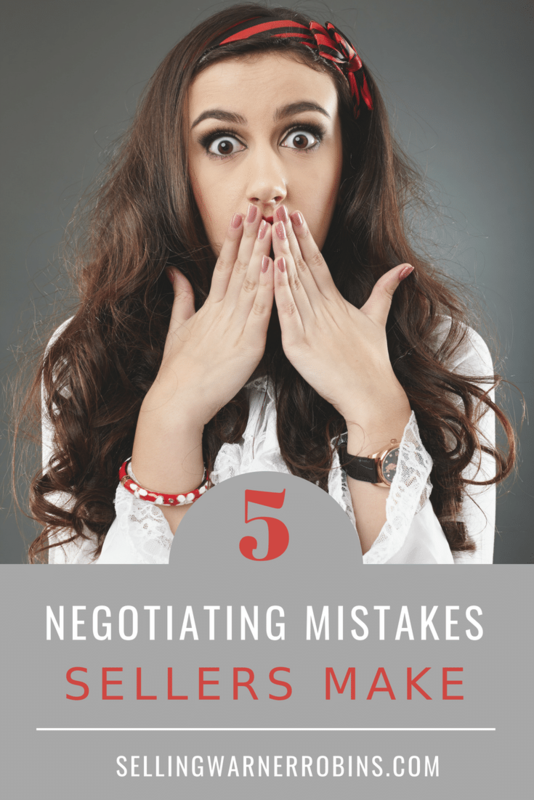 Below are 5 negotiating mistakes sellers make. We all take pride in our homes. That is why we tend to forgive and thus dismiss its little flaws. You might appreciate those minor imperfections because they remind you of a certain episode of your life. Don’t let sentiments blur your vision. They will be surely used against you when negotiating. You need to put yourself in the place of the home buyers who will be looking at your home with a critical eye. Be completely honest when you examine your home and take into account its benefits and disadvantages. This will help you determine a price that is closer to the market value. You also need to stay flexible. Keep in mind it is buyers who determine the demand. Whether you like it or not, they often have the last word, especially when the market favors them. You should not fall into the false assumption that what you “need” will align with the actual market value. Research the price of homes similar to yours that were sold during the last 6 months. When hiring a real estate agent, pick a person that knows your area well and provides quality advice, fact based examples, and adequate recommendations. Instead of using your desires as a guiding point, determine the price of your home based on the data collected. In the event you cannot afford to sell for the price identified, you can either wait until the market improves or rent out the home. A good real estate agent will provide you with a clear understanding of the current state of the market and will certainly be an invaluable resource during the negotiation process. Sometimes sellers can tip their hand, divulge too much information, or turn down a reasonable offer because emotions get in the way. Do not hinder your chances of selling your home…let your agent lead the way to help you avoid these costly mistakes. They are professionals, do this for a living, and should have your best interests at the forefront of any discussion they have on your behalf. Pick your agent wisely! They should be very familiar with the local real estate market and have a proven (and verifiable) track record of successfully negotiating homes through the closing process. It is also important to take into consideration their background, marketing plan (both on and off-line), and experience. Choosing the wrong agent can cost you, so choose your Realtor® wisely. Although you should be able to always depend on your agent, you do need to think for yourself and develop your own mindset before negotiations begin in earnest. While it is expected that you will have emotions during the process, do not let those feelings overrule your good judgement or decision making ability. It also helps if you have empathy and can see the transaction from the buyers viewpoint. That does not mean you need to concede to all the buyer demands, but it does help you decide what is truly important, providing an opportunity to have realistic dialogue and a fair give-and-take scenario during the negotiation process. Try to understand the other side and recognize their needs. When you know what is important to them, you can easily find a solution that will satisfy both parties. Plus, it will change your attitude. Acting antagonistic will get you nowhere. You need to have the buyer on your side or at least believing they are on equal footing. You will be stunned how simply taking interest in the other side’s motives provides a positive impact on the negotiation. Sellers often feel pressured to give their answer straight away, especially when they want a fast deal. If the offer is not satisfying at first sight, the tendency is to refuse it outright. It makes more sense to take a little time, let the emotions subside, and then formulate an effective counter-offer. It is very wise at this stage to seek the counsel of your agent. If the market has changed it is a good time to re-evaluate what effect selling at the offer price makes for you and your bottom line. With TV making the process look so easy, and the assumption that steals abound, do not get too upset if a buyer brings you a ridiculously low offer. Try not to take it personal. They might not be fully informed about the market trends. You cannot negotiate without an offer so even a low initial offer gives you an opportunity to find common ground (if possible). Leave the negotiations to your agent. Instead of rejecting the offer, work with your agent to come up with a reasonable counter-offer. This is a good indicator you are serious about selling, but you will not accept something unreasonable for your home. Knowing what you can use for leverage is crucial as you begin home negotiations. You will help your cause by understanding that nearly everything is negotiable, including lighting, appliances, and even window treatments. For many buyers, these are make-or-break a deal items that you can easily let go and maximize profit by doing so. Another way make your property more attractive is by offering to cover the closing costs for the buyer. This can make a huge difference for some buyers, especially since they will already be incurring some moving costs of their own. By offering to pay the closing costs, or part of it, you automatically make your home more attractive than those homeowners who are not willing to pay closing costs. As always, check with your agent to make sure you are not offering too much or too little. You should know what can affect the negotiation process and use it in your favor. Depend on your agents support and advice, it can make all the difference! Consider paying any costs the buyer needs, as long as you obtain the net value you want. 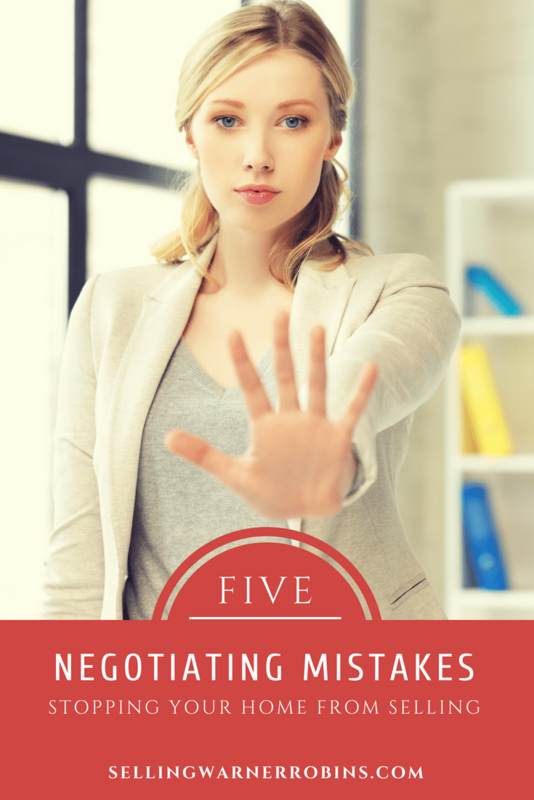 Negotiating can be an intimidating process, especially when so much is on the line. Rely on your agent to professionally handle the process and the result should be a decent sales price and terms you are comfortable with. There really is no substitute to using an experienced real estate agent who understands all the nuances of the local real estate market. Put their (my) expertise to work for you! This is a very good analysis of what a lot of home owners do, and sometimes the agents are not helping them make good decisions. Thanks Larry. I hope homeowners read and heed this information.